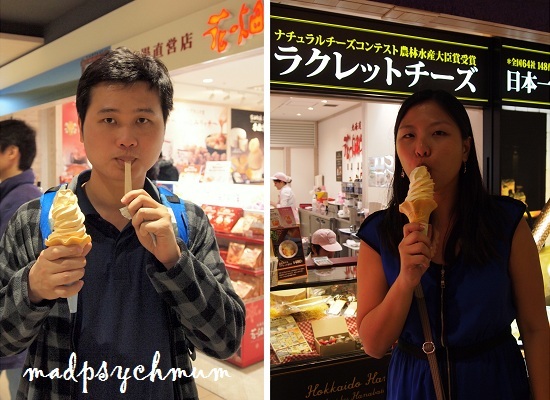 MadPsychMum | Singapore Parenting + Travel Blog: Hokkaido Day 7: Sayonara! My Reflections..
Hokkaido Day 7: Sayonara! My Reflections.. It was a bitter-sweet morning for us as it was our last day in Hokkaido. On one hand, I look forward to seeing my girl but on the other hand, I didn't want to leave! 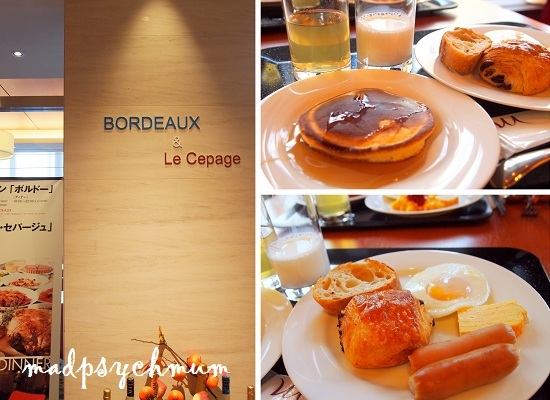 After breakfast, we packed our things and headed to Chitose airport. While we were checking in, we were informed by the airline staff that the weight per baggage should only be 23kg but one of our luggage was overweight while the other was too light (it can't be unbalanced). So we scrambled to repack both our luggage on the spot such that the weight is more evenly distributed. When we were all finally checked in, we took our only group photo for the trip. After we've said our goodbyes to Ai san, it was another mad rush to do some last minute shopping (we've got quite a bit of yen left over you see ^-^) before we boarded the plane. Oh, and to taste Hokkaido's famous soft-serve ice-cream one last time! I was very impressed by the high social consciousness within the Japanese society. There are very few dustbins on the streets or punishments for littering and yet the Japanese keep their streets immaculately clean. Their toilets, even those in the remote areas, are always clean and dry. People can leave their bicycles with only their wheels locked and no one will take it! The people are also very polite, always greeting you when you enter or leave a place. They take their work very seriously! I’m very touched by the level of service and heart that they put into what they do. I would say the only negative thing about Japan is the rules that they have regarding etiquette. It can be really stressful to have to follow all of them! Oh, and also the price of things! The Japanese pride themselves on ensuring the best quality in every product and hence, the price of everything is very expensive!